Hurrell, George. 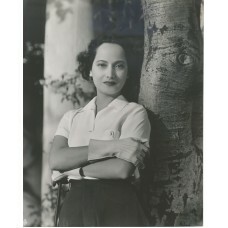 Merle Oberon. 7 1/2 x 9 1/2 inch Silver Print. Hurrell's stamp is on the back..